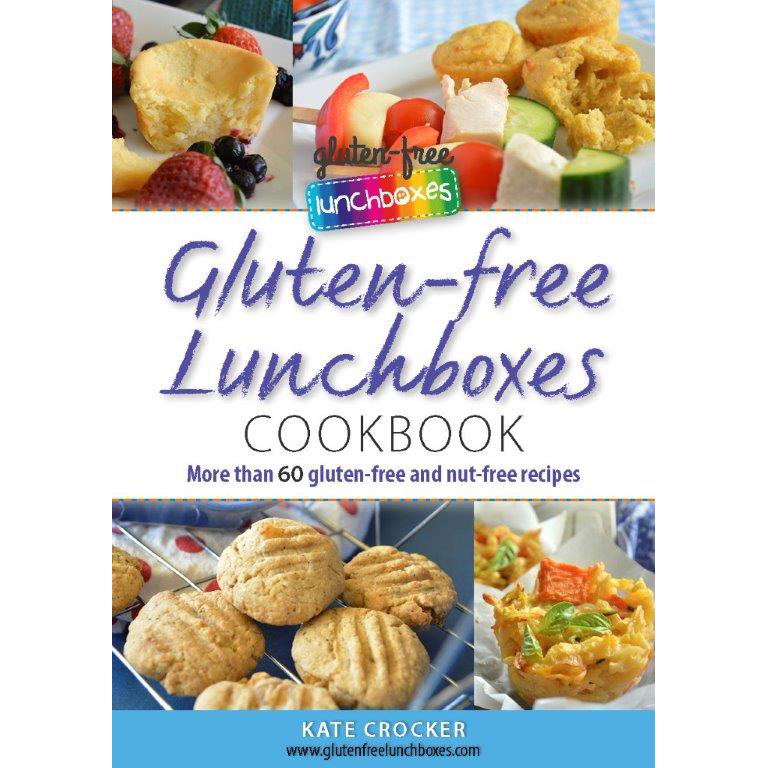 If there’s one thing tougher than coming up with ideas for your child’s gluten-free lunchbox, it’s coming up with ideas for your child’s gluten-free AND dairy-free lunchbox. I mean, seriously, how do you give them a great whack of good nutrition as well as avoid all the things that make them sick? Damn, it’s a tough gig for some parents and kids. Really tough. And you can’t pack nuts if they’re going to be around other kids, so even that’s not an option to ratchet up the nutritional profiles of their lunchboxes. After I released my eCookbook, I had some enquiries about whether any of the recipes in the book could be made dairy-free. So I did an audit and I’m happy to say that yesiree, folks, with a bit of product substitution here and there, most of the recipes can be adapted to dairy-free. At the bottom of this post, there’s also some information on soy and corn products, so please read on. There are 26 recipes in total. There are six cookie recipes and all can be made dairy-free with rice milk and/or Nuttelex. Two cookie recipes need dairy-free chocolate or carob buttons (dairy free chocolate is widely available in Australia). There are four slice (or bar) recipes. One is dairy-free and the others can be made dairy-free with rice milk and/or Nuttelex. There is one scroll recipe. To make dairy-free, source or make your own gluten-free and dairy-free pastry. I found some recipes on Google if you want to make your own – here and here are just two examples. There is one ball recipe which is dairy-free and one pikelet recipe which will work with rice milk and Nuttelex. There are three muffin recipes, one of which is dairy-free, one which will work with dairy-free substitutes and one which can’t be made dairy-free. The scone recipe may work with dairy-free substitutes. There are 7 cake recipes. One is dairy-free, four can be made dairy-free with rice milk and/or Nuttelex. Two others cannot be made dairy-free. Of the 26 recipes in this chapter, there are about 5 that cannot be made dairy-free. There are 13 recipes in total, three of which are already dairy-free and one which cannot be made dairy-free. Seven recipes use cheese. In two of the recipes, you can use goat’s feta cheese instead of cow’s feta cheese. Where cheddar or parmesan is used, omit and add extra salt and maybe a small amount of extra flour to balance the consistency. These recipes use cow’s milk but rice milk can be directly substituted. 2 recipes use yoghurt as well as milk and cheese. You can try using extra milk in place of the yoghurt, or use a soy yoghurt. Omit the cheese. Two recipes use gluten-free pastry. You would need to source or make a gluten-free dairy-free pastry to make these recipes (see links above). 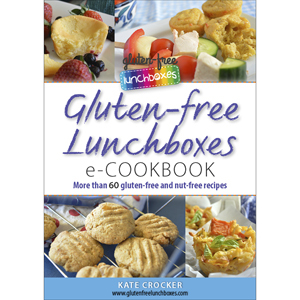 This chapter gives recipes for family meals and then shows you how to repurpose the leftovers for the lunchbox. There are 17 recipes in total. Five are already dairy-free and two can’t be adapted to dairy-free. Eight can be made dairy-free by leaving out the cheese and adding salt. Two recipes use gluten-free pastry. You would need to find a gluten-free dairy-free pastry (or recipe) to make these recipes (see links above). Four recipes use milk. Rice milk can be used as a substitute in the same quantities. There are six recipes in total and four of those cannot be made dairy-free. One recipe may be made dairy-free with Nuttelex and rice milk, although the recipe also uses cream. You would have to experiment with extra milk or soy yoghurt to see if it will work. Some recipes in the ebook use soy sauce. If soy is a problem for you or your family, simply replace it with an Asian sauce that is suitable. None of the recipes use soy flour or tofu. When using yoghurt, I use cow’s yoghurt. If you use soy yoghurt as a substitute, you will need to be aware of any soy intolerances or allergies. For further information on soy allergies, click here. Some people with gluten intolerances also have issues with corn. Some of the savoury recipes use corn kernels. They can be substituted with peas if necessary. A couple of recipes use polenta. Try using rice crumbs instead. Xanthan gum is a frequently used ingredient in gluten-free baking, derived from corn and usually genetically modified. It is said to mimic the elasticity that gluten gives to baked goods. Where elasticity is required in the baked goods in my ebook, I use Pixie Dust, a creation of Dr Jean Layton, the Gluten Free Doctor. It is a seed mix that is simple and easy to make and can be stored in the freezer. It’s full of fantastic nutrients and I think it gives a superior quality to gluten-free baked goods. A recipe for Pixie Dust has been reproduced in the ebook (with Dr Layton’s kind permission). Xanthan gum measurements are given as an alternative to Pixie Dust. That’s it for this post, folks! I hope that’s useful to you. Happy cooking!